Cassandra Clare’s first book in her new The Dark Artifices trilogy, Lady Midnight, will not be released for another 137 days, but Simon & Schuster Australia kindly made one chapter available for all the Shadowhunters that haven’t managed to read the chapter sampler that was given to fans at several events over the last couple of months. By the Angel, what an ending! We need Lady Midnight like now! The magic and adventure of the Shadowhunter Chronicles have captured the imaginations of millions of readers across the globe. Fall in love with Emma and her friends in this pulse-pounding, heart-rending new volume sure to delight new readers and longtime fans. Can’t get enough of The Dark Artifices? Check out all the snippets that Cassie shared so far here. Share your thoughts in the comments below. 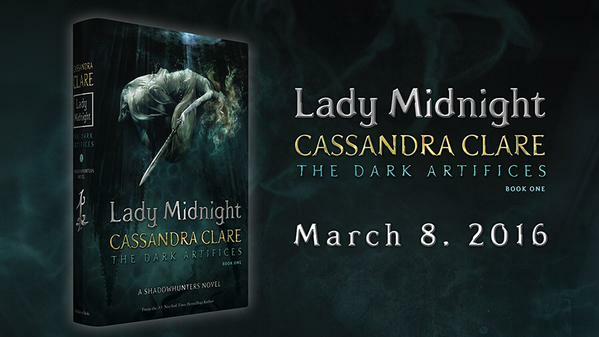 Lady Midnight will be released on March 8, 2016. Adored it!!! Can’t wait to see more of this Kieran. He seems a little like a Jace 2.0. I hope he’s full of fairyness though.